Bright and bold Valentines can really make a statement. For today’s project, I’m using a fun stamp and die set from Sizzix called Love In Lights to create two different Valentines. 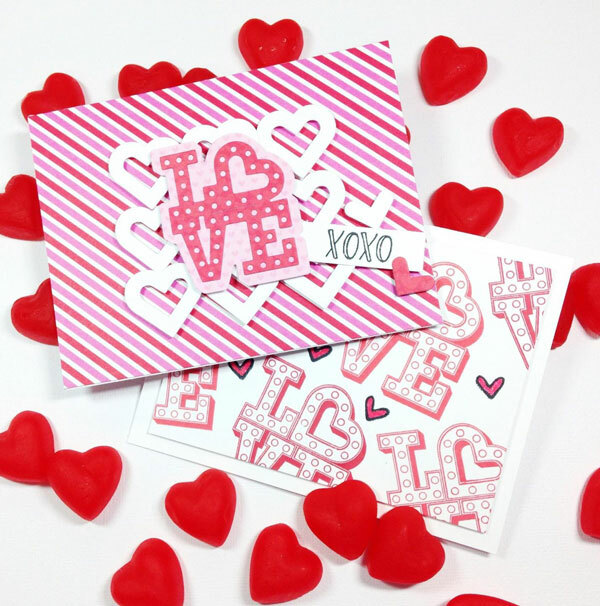 This entry was posted in Cardmaking, Rubber Stamping, Valentine's Day and tagged Card Making, Cardmaking, DIY Valentine, Rubber Stamping, Valentine's Card, Valentine's Day, Valentine's Day Card on January 26, 2019 by Heidi. For those of us who make handmade cards, we know we can never have too many in the birthday category. I think these are the most fun to make because there is always some element of fun and whimsy involved. Today’s project is pretty clean and simple, but I’ll show you again how movement and color can make all the difference. 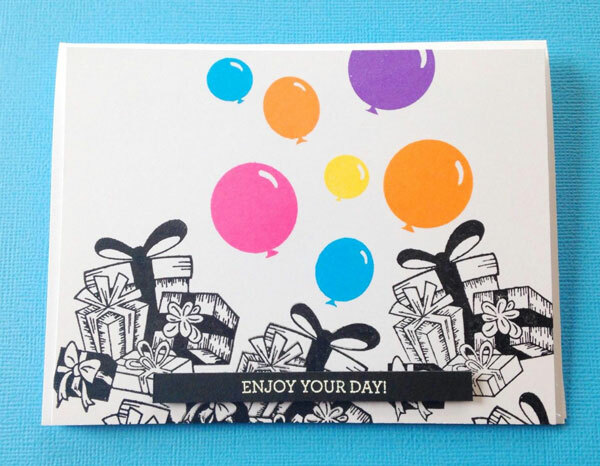 I used a set from Sizzix called Birthday Wishes along with the balloons from Avery Elle’s Balloons stamp set. 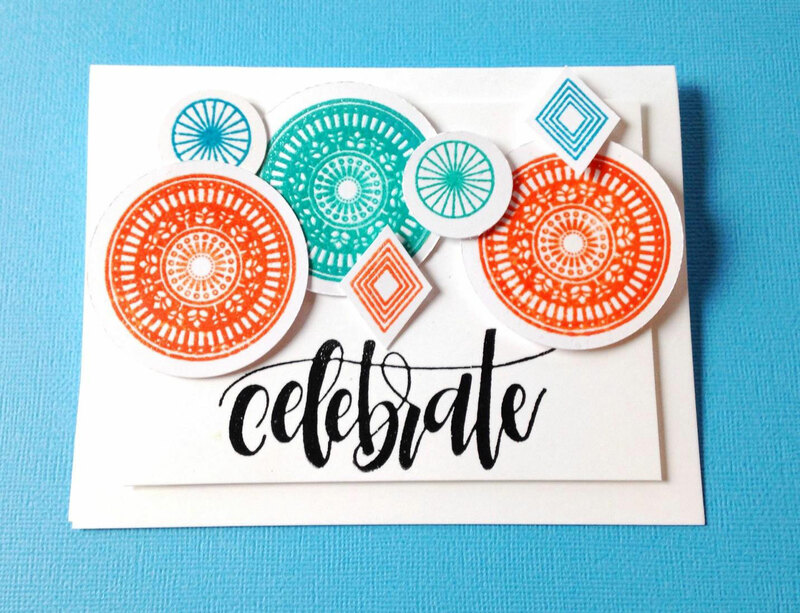 This entry was posted in Cardmaking, Rubber Stamping and tagged Birthday Card, Cardmaking, Rubber Stamping, Stamping on January 23, 2019 by Heidi. Lately, I’ve been working with vellum a lot on my cards. The elegant translucence is so pretty and calming. After working with a lot of bright, rich colors for the holidays, I thought it would be nice to lighten it up a bit. 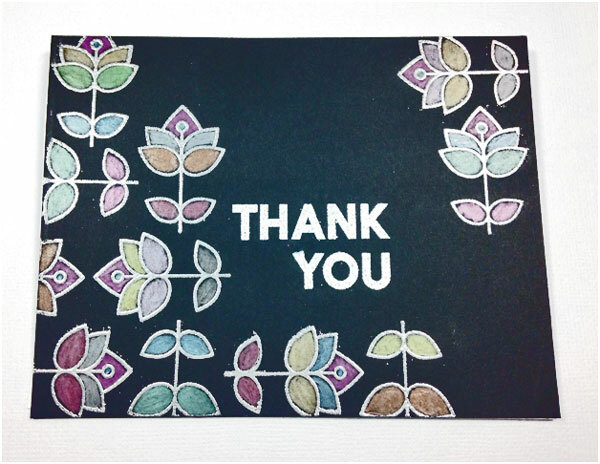 We probably all have many thank you cards to send out, so today’s project is a thank you card set using some thick vellum and a stamp from Hero Arts. 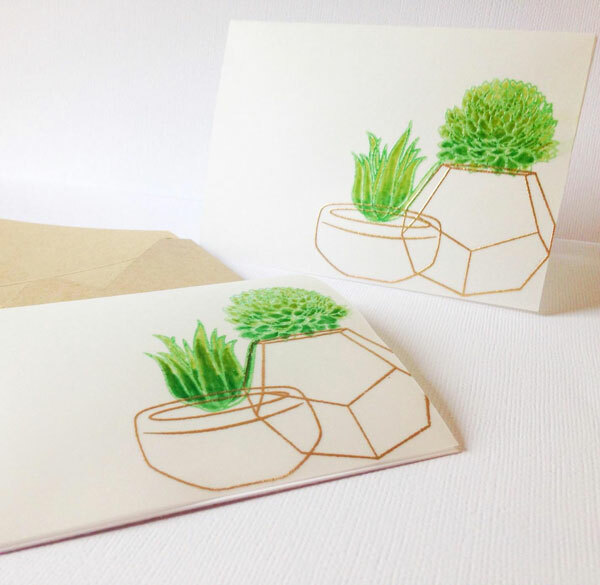 This entry was posted in Cardmaking, Rubber Stamping and tagged Card Making, Heat Embossing, Hero Arts, Rubber Stamping, Stamping, Succulents, Thank You Card on January 15, 2019 by Heidi. Did you ever try cutting around a circle-shaped stamp yourself with just scissors? It’s not always so easy. For today’s project, I’m using an older stamp set from Basic Grey with some really nice circle-shaped stamps. To help me cut them out, I’ll be using a fun tool from We R Memory Keepers called the Circle Spin & Trim. This entry was posted in Cardmaking, Rubber Stamping and tagged All-Occasions Cards, Basic Grey, Card Making, Distress Oxide, Heat Embossing, Rubber Stamping, Stamping on January 8, 2019 by Heidi. Creating clean and graphic cards can be really easy with just one or two stamps used to make a pattern. For today’s project, I’m using an oldie but goodie from Basic Grey and experimenting with metallic pencils to see the different looks I can get. This entry was posted in Paper Crafts, Rubber Stamping and tagged colored pencils, embossing, Heat Embossing, Metallic Pencils, Rubber Stamping, Stamping on December 26, 2018 by Heidi. During this gift giving season, it’s always nice to receive a handmade gift. 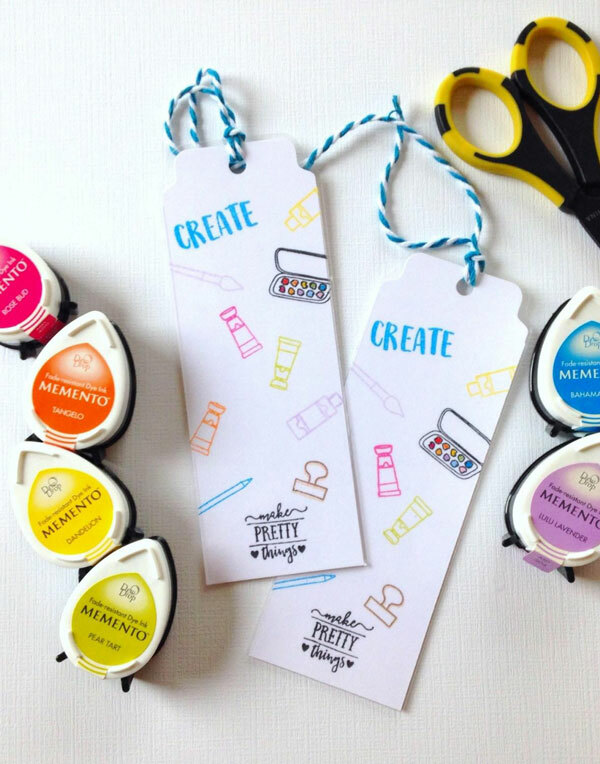 For today’s project I’ll show you how to make these adorable bookmarks. Perfect for someone who likes to craft—and read! 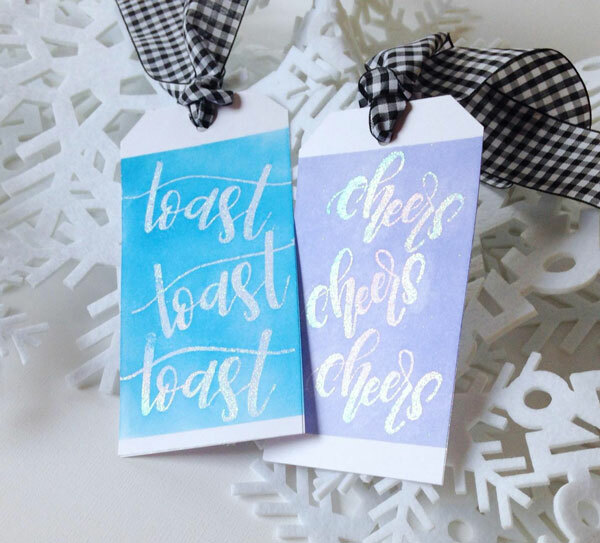 This entry was posted in Paper Crafts, Rubber Stamping and tagged Bookmark, Punch Board, Rubber Stamping, Stamping on December 22, 2018 by Heidi.